Here they are - the instructions on how to properly prepare your absinthe. There are several traditional methods on how to do this and most of them involve amazing and interesting little gizmos manufactured to make the life of the absintheur just a little bit easier. As you see there is no reference to fire and flames anywhere in these instructions as the "fire method" is nothing but a modern stupidity created by producers of lesser brands. Why burn the alcohol you've paid for? And why ruin the taste by adding burnt sugar to your drink? 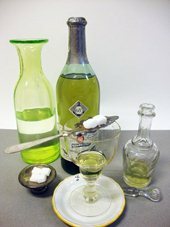 The most common way to prepare a glass of absinthe is the Absinthe drip. 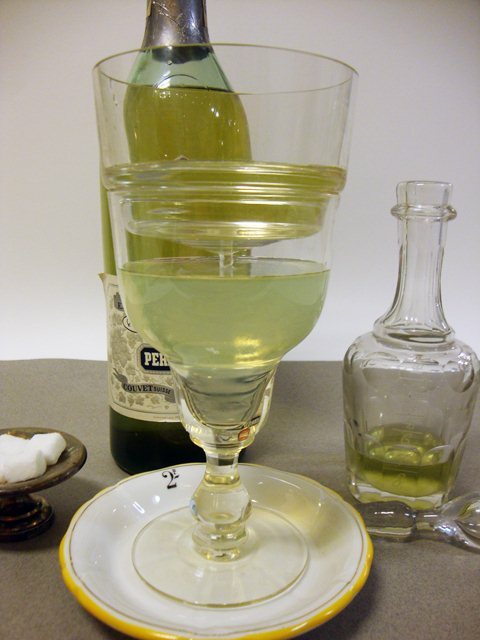 By slowly adding iced water to the absinthe it produces a rich a creamy drink. 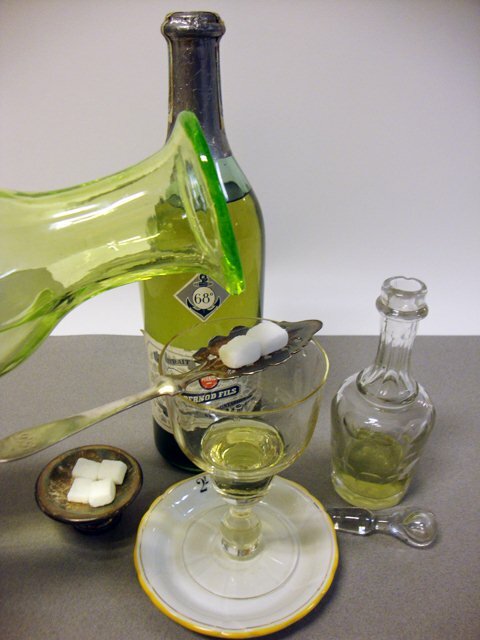 By the use of an absinthe spoon it is also easy to add sugar to sweeten the drink if one so desires. 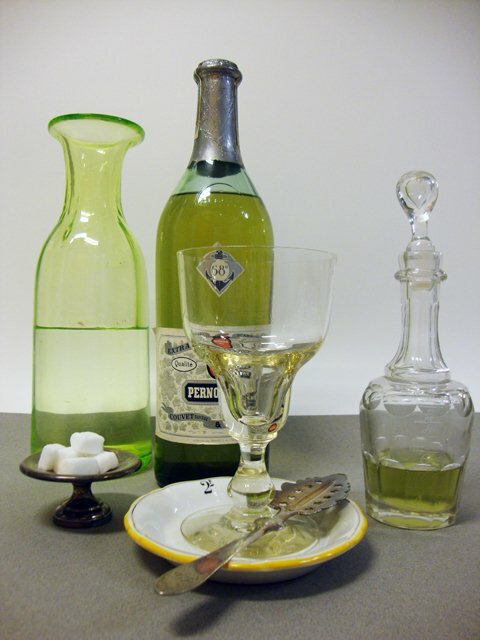 First of all, you need your absinthe, carafe of water, absinthe glass and if you so decide, sugar and an absinthe spoon. Now, pour one measure of absinthe into your glass. 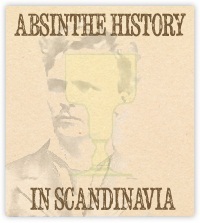 That is between 3-5 cl of absinthe. If you have a proper absinthe glass with a marked dose, these usually hold around 3cl. 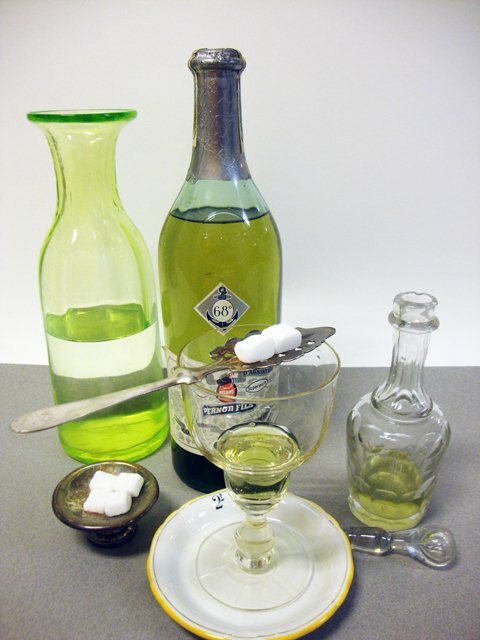 If you decide to use sugar you place your slotted absinthe spoon on top of the glass and place your desired amount of sugar on it. Normally one to two pieces will be enough. Now slowly drip iced wated over the sugar cubes, letting them melt through the slots of the spoon and into the absinthe. Even if you do not use sugar you should be gentle when adding the water as a slow drip makes a better end result. The water causes the absinthe to become cloudy - it "louches". This is due to the anethole in the anise and fennel. Slow drip and ice cold water produces a thicker louche. 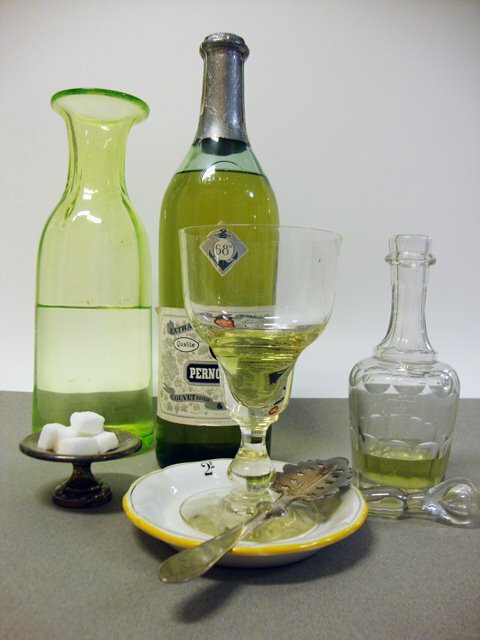 Once you have added 3-4 parts water - depending on personal taste and the alcoholic strength of the absinthe - your drink is ready. Santé! 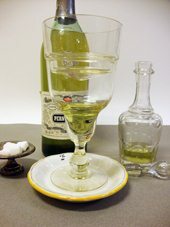 One of the many gadgets manufactured to help in the preparation of the perfect absinthe was the brouilleur, an automatic dripper. Most of them are simply a device to place on top of the glass. With a small hole in the bottom it automatically mixes the water into the absinthe. They were made in both glass and metal and came in different sizes. Vintage glass brouilleurs are hard to come by and often saught after collectors items. Some brouilleurs have larger holes and therefor lets the water through a bit too fast. This can easily be solved by placing a regular glass marble in the hole before filling the brouilleur with water. This gives a slow nice drip. 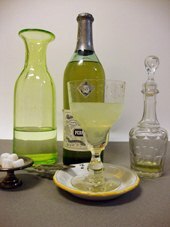 After adding a measure of absinthe to your absinthe glass, simply place the brouilleur on top of the glass. If you wish to get a slower drip you can place a glass marble in the brouilleur, to cover the hole. If sugar is desired, place a sugar cube in the hole. Ice can be added as well to get really iced water. 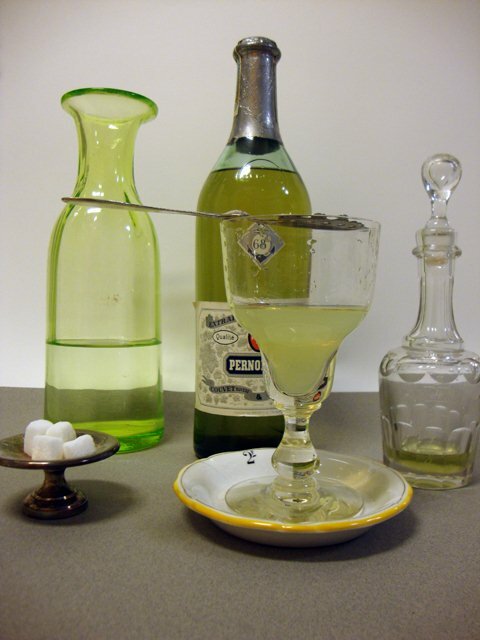 The brouilleur automatically drips the water into the absinthe which louches into a ready to drink aperitif. Remove the brouilleur from the glass and enjoy your absinthe. Santé!